L R Barrett-Durham and E G Glover to be Guests at Con*Stellation! L R Barrett-Durham and E G Glover will be guests at this year’s Con*Stellation. Please come out and visit with them! L.R. Barrett-Durham self-published her first epic fantasy novel, Never Trust a Sorcerer, in September of 2011. 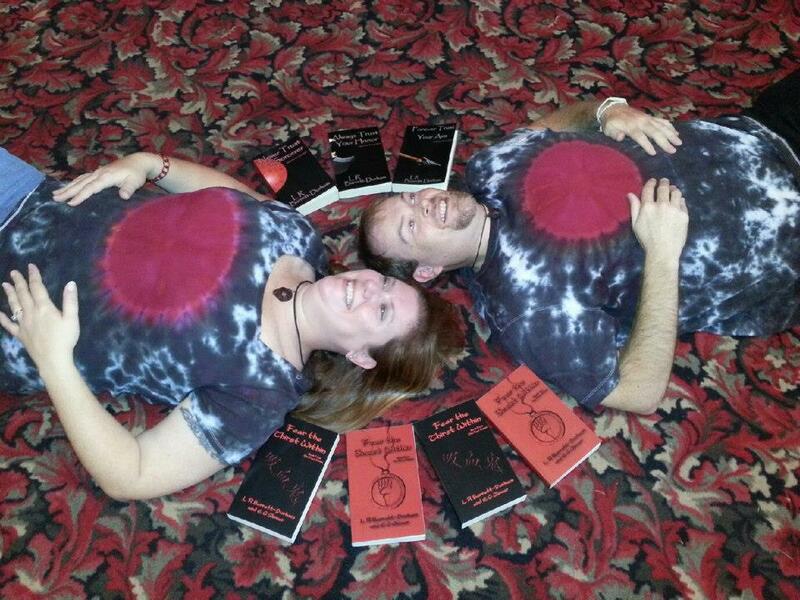 She has published five books in her first year as an indie author. While writing the second book to The Trust Series, Always Trust Your Honor, she met her coauthor E. G. Glover and began working on their paranormal romance series, The Fear Series. Book One, Fear the Beast Within, was finished in thirty-seven days and was published one day apart from Always Trust Your Honor. Book Two, Fear the Thirst Within, was published in May 2012. Her newest novel, Book Three of The Trust Series, Forever Trust Your Aim, is fresh off the presses, being published September 4, 2012, just thirteen days shy of the one year mark. E.G. Glover is new to the novel-writing scene with Fear the Beast Within, which was written and published with L R Barrett-Durham in January 2012. He flirted with idea of writing in high school by authoring various poems and short stories, but it wasn’t until recently that his dream of writing a novel became a reality. Four short months later, he and L. R. Barrett-Durham published Book Two of The Fear Series entitled, Fear the Thirst Within. He is currently working on Fear the Emptiness Within, Book Three of The Fear Series, with Barrett-Durham. This Alabama native’s hopes with this series are to prove that a romantic story can be told with a male’s point of view entwined, and still hold its romanticisms. Check their website at http://fearandtrust.freewebspace.com/ or chat with them on Facebook at http://www.facebook.com/fearandtrust. Fear and Trust stop at Applegarth Books in Millington, TN! In celebration of their recent releases, L R Barrett-Durham and E G Glover will be stopping at Applegarth Books in Millington, TN – so be sure to go out and see them! L R Barrett-Durham just recently released the third book in her fantasy TRUST series, and invites you to read her tales! E G Glover and L R Barrett-Durham also released their second book in their paranormal romance FEAR series, and hope you enjoy. Here is a twist, many of the actions happening in the sequel are occurring simultaneously as in the debut book. Fun, huh? 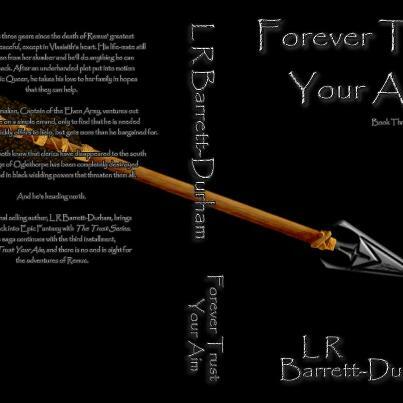 L R Barrett-Durham’s newest release, Forever Trust Your Aim, now available! When L R Barrett-Durham began writing the Trust series, she never expected it to blossom as it has. After all, the first tale – Never Trust A Sorcerer- sat, completed, in her computer database for years until she decided to self-publish it. After careful research into whether or not to sign with a publishing agency or self-publish, L R Barrett-Durham liked the amount of control she had with self-publishing and went with CreateSpace. She only expected to release the one book. Now her third book, Forever Trust Your Aim, is available to buy! Interested? Get your copy today!